The island weather is starting to feel like Spring and the April showers are here! Maybe that’s what led to this week’s office Spring cleaning. 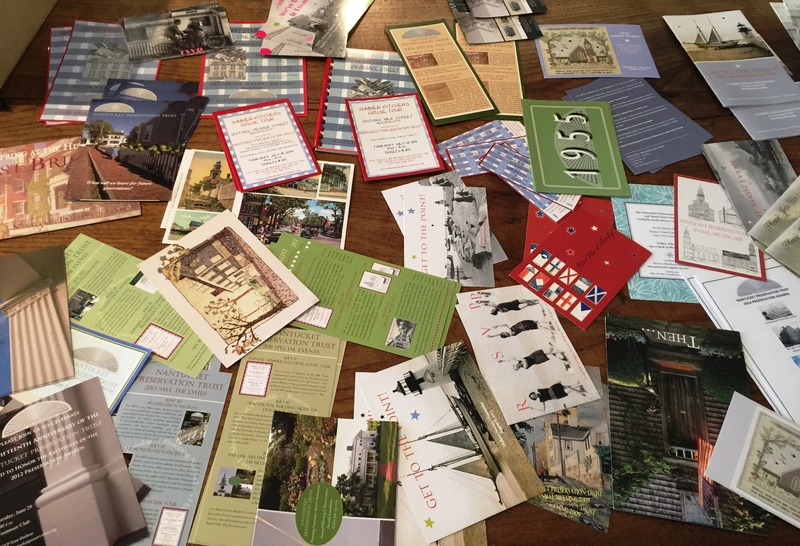 Cleaning usually doesn’t evoke excitement, however after finding old NPT event invitations, promotional items, newsletters, cards, and more we are eager to dive into the 2015 event season! Featured below and above are NPT graphics we’ve “preserved” over the years. Luckily, with the help of our lead graphic designer, Kathleen Hay our office has quite the collection of well-designed graphics to reminisce over. 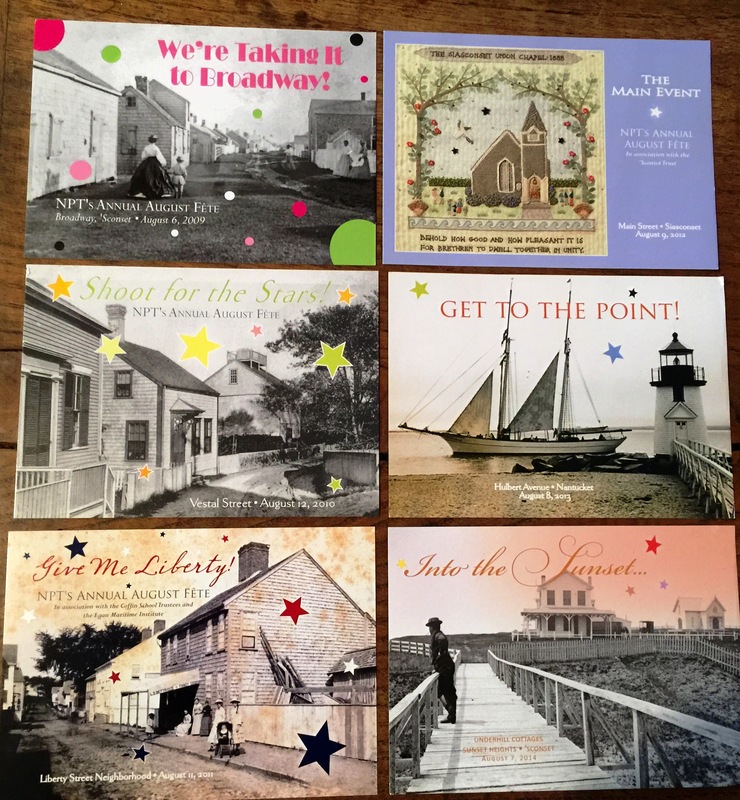 Do you recognize a common trend amongst the August Fete invitations? The 2015 event marks the 10-year anniversary and we can’t wait to reveal the graphics. They’ll be refreshing and new, however will still reflect the common trend – STARS! 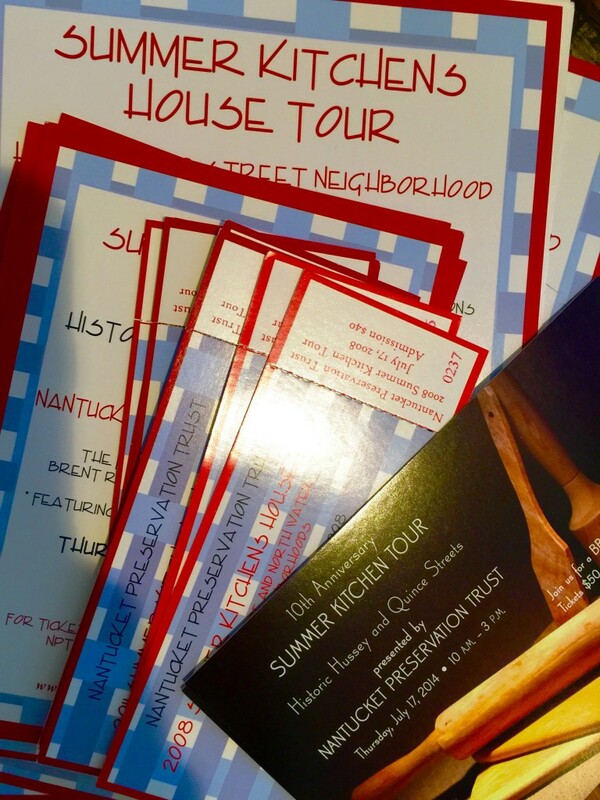 How could we forget the past Summer Kitchen Tour graphics, which were revamped for last year’s 10-year anniversary! Before the revamp the graphics were kept consistent over the years with a checkered kitchen look including the colors red, white and blue! Stay tuned and check your mailboxes to see what this year’s invitations will look like. We promise you won’t be disappointed!